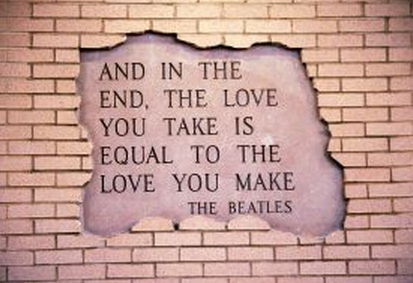 Throughout the ages, iconic figures of all kinds have shared with us with their thoughts and feelings about music. After reading just a few of the quotes below, you’ll understand why we at Flatts & Sharpe love music—the insights and experiences it has to share with us. Like the quoted below, collectively, we are a group of teachers and students, children and adults, artists and intellectuals…of course, we’re musicians too. We hope you enjoy these! Did all those musical quotes hit a note in you (pun intended)? Live in Chicago and interested in music lessons? Come play with us at Flatts & Sharpe! Fun Times at the Flatts & Sharpe Show! Flatts & Sharpe music school had a show last night at Morseland (located at in Rogers Park, Chicago). A classical solo piano performance and guitar duet started off the concert, followed by six bands—comprised of adult music students and led by teachers—that rocked the house. The musicians ranged in age from just-out-of-college to “the oldies are what I grew up on.” But they all share a passion for music and a desire to jam. The show was truly amazing and we packed the house! Not only was it great for students and teachers alike to show off what all their hard work has produced, but the audience was awesome! The atmosphere was both electric and intimate at the same time, and a Rogers Park community vibe was obvious. Chris Bell, the owner of Flatts & Sharpe, has a knack for bringing people together. Her tongue-in-cheek humor coupled with her clear appreciation for all that her staff and students do make Chris the perfect emcee. She even engaged the audience in some Flatts & Sharpe trivia and awarded prizes for correct answers. On behalf of everyone at Flatts & Sharpe, thanks for coming out to see us! We hope you enjoyed your time as much as we did! In case you missed it, though, we have uploaded some videos of our bands practicing to YouTube. Here is one of our bands playing “(I’m Not Your) Steppin’ Stone” by the Monkees; and here is another band playing “Stuck in the Middle With You” by Stealers Wheel. Check back later for more pics and videos from the actual show! Musicians tend to have an expanded vocabulary that incorporates many music-specific terms. Below is a list of some of the musical terms you would likely learn in a Music Theory 101 class. Time Signature (also called meter signature) – A symbol placed at the beginning of a staff used to indicate the meter of a composition. The symbol typically consists of two numbers: the number at the top indicates how many beats are in each measure and the number at the bottom indicates the note value (e.g., a quarter note) that constitutes one metric beat. Tempo – The speed at which the music is played; may be expressed in beats per minute, or with descriptive terms such as “largo” (Italian for slow) and “allegro” (Italian for fast). MUSIC TRIVIA QUESTION: What is the difference between a heptatonic scale and a pentatonic scale? Comment on this post with the correct answer to the question above and we’ll give you a shout out on our Twitter and Facebook accounts! 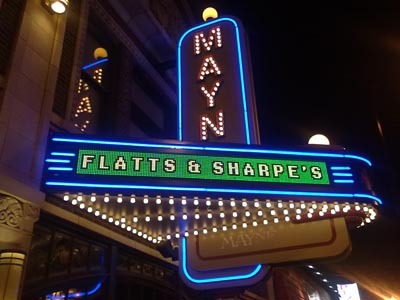 And always remember to contact Flatts & Sharpe for all your Chicago music lesson needs! It has been suggested that students engaged in musical activities out-perform students who are not musically engaged when it comes to standardized tests. Strong evidence for this was provided by a study that was carried out in three phases over the course of nearly 20 years. Each phase involved administering the Comprehensive Test of Basic Skills (CTBS) to over 5000 fifth-graders; almost 25% of the students were participating in the instrumental music program at the time of the study. These students performed better in all areas of the standardized test relative to students who were not enrolled in the music program. Furthermore, results showed that the longer a student had been in the music program, the higher his/her test score was in comparison to students not in the program. The same effect can occur among high school students. In 1996, students who had been involved in musical performance at some point in their lives scored higher than the national average in both the math and verbal sections of the SAT. Of course, we cannot ignore the familiar question that plagues all research: causality or correlation? Causality, of course, presumes that one factor results in (or causes) another, while a correlation indicates a relationship between two factors (when one factor changes, the other factor also changes in a predictable way). Does musical participation lead to increased test performance, or is it the other way around? Or is there another third variable that influences both? It is often hard to differentiate between causation and correlation, and researchers do not always acknowledge the dichotomy. As discerning learners and knowledge-seekers, it is therefore our responsibility to keep the distinction in mind. It should also be noted that this blog post does not assume that standardized test performance necessarily reflects overall intelligence, as there are, after all, many different types of intelligence. The connection between music and other measures of intelligence will be the topic of future blog entries. A new entry is added each Friday, courtesy of Flatts & Sharpe, provider of music lessons for children and adults in Chicago. Yoon, J. N., 2000, Masters Thesis: Music in the classroom: Its influence on children’s brain development, academic performance, and practical life skills. Bluegrass music as we know it today has a long history, one that many agree dates back to the 1700s and 1800s, when America experienced an influx of English, Irish and Scottish immigrants. They settled in the Appalachian region of the United States (an area off the eastern coast spanning from New York, south to Mississippi, Alabama and Georgia) and brought their musical traditions with them. Traditional English and Scottish ballads and Irish dance music, which focuses on the fiddle, were integral to the formation of the bluegrass sound. However, it was African-Americans who introduced the banjo to the genre. Bill Monroe is widely considered to be the founding father of bluegrass music. He was of Scottish heritage, born in Kentucky and played the mandolin. He and his brother, Charlie Monroe, formed a band that was very popular in the 1920s and 1930s. But the two went their separate ways in 1938. 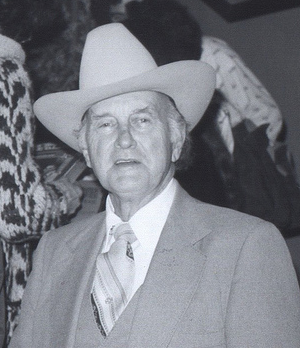 After his first group disassembled after only 3 months, Bill Monroe went on to form “Bill Monroe and the Blue Grass Boys.” His home state’s nickname—the Bluegrass State—provided Bill with inspiration for the name. However, it was not until the 1950s that the term “bluegrass” was formally used to describe the musical genre. Chicago is home to many great bluegrass musicians. In fact, two of Flatts & Sharpe’s own—James Weigel and Brian Koehler—used to play in a bluegrass group called The Henhouse Prowlers. James is fond of bluegrass music because it seems to fuse other great genres of music together, such as folk, blues, country music, and even rock and roll. If you are interested in learning the guitar, banjo or dobro (resophonic guitar), James is your man! Contact Flatts & Sharpe today about setting up music lessons in Chicago! Research has indicated that learning a musical instrument may help prevent Alzheimer’s disease. Music and cognition are inexorably linked; we know that perceiving and creating music require complex neural (brain) activity. Alzheimer’s disease is characterized by a loss of neurons and the connections between them. Interestingly, a clinical study showed that older adults who were more active, including those who played an instrument, were less likely to develop Alzheimer’s disease than less active older adults. The cognition involved in learning to play an instrument fosters the growth and strength of the brain’s neural network, and as such can act as a deterrent for Alzheimer’s disease as well as other forms of dementia. Other research with Alzheimer’s patients further elucidates the relationship between cognition and music. The most recognizable trait of Alzheimer’s disease is memory loss. However, studies have shown that the ability to play an instrument may be spared by Alzheimer’s disease; some musicians with the disorder retain the ability to play their instrument, even if they are unable to learn new songs or identify familiar melodies. Further, it has been suggested that Alzheimer’s disease exists to a lesser degree among musicians (specifically, orchestral musicians) than among non-musicians. One study showed that incorporating music into a memory task helped Alzheimer’s patients to remember, while it had no discernable effect on the memory of healthy participants. Similar correlations between music and increased cognitive functioning have been observed in stroke victims who suffer from aphasia (those who have trouble understanding or producing language). The connections between music and cognition run deep and we still have a lot to learn. But one thing we are pretty certain of is that the experience of learning how to play an instrument acts as a buffer against cognitive decline—particularly Alzheimer’s disease. So, if you are a musician—great! If you are not a musician, you should give it a try! And if you’re a parent in the Chicago area, encourage your child or children to learn an instrument: it’s fun and great for the mind. Contact Flatts & Sharpe today to inquire about Chicago music lessons! PubMed: Musical experience and dementia. Hypothesis. PubMed: Memory for music in Alzheimer’s disease: unforgettable? Student Rock Show Was A Success!! Our kids rocked the house! After reflecting on Saturday, December 17th’s show, it’s apparent that so many performances are memorable, it’s hard to fit all the thoughts into this tiny little box of an blog. Everyone did an AMAZING job. Truly phenominal. If we walked away with anything that Saturday, it was a sense of pride. Proud of the music in our lives, that entices us to take lessons, by the city’s best instructors, and the ability to play with our peers and perform in a tight knit community such as that of Rogers Park. The progression of the younger kids that have only taken lessons for not even a year to the older kids that have been rockin’ out for years now was also noteworthy. We are so lucky to have this community at the store that nurtures a passion for music that will stay with every individual for the rest of their lives. We’d like to thank everyone for all their hard work and for all of the support. December 17th’s show was a success and it wouldn’t have been possible without all of you!